Milona 1 for a light breath 100 tbl. 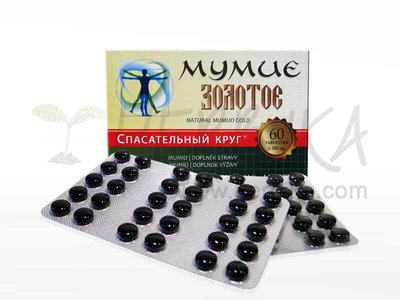 Home/Food supplements/Preparation/Natural Tablets/Milona 1 for a light breath 100 tbl. 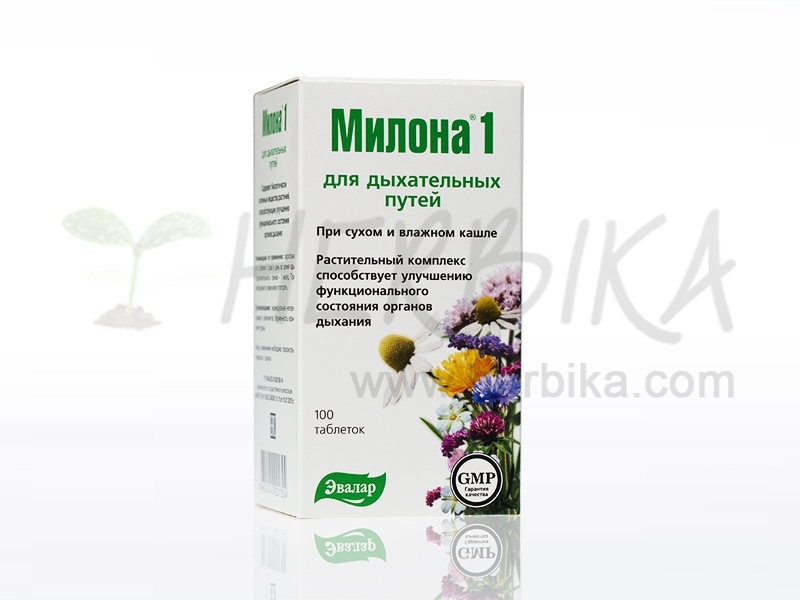 Milona 1 for light breath is a complex product and nutritional supplement designed to support and strengthen the respiratory system. St. John's Wort, Oregano, Sweet flag (Acorus calamus) and Licorice (Glycyrrhiza) strengthen respiratory functions. Plantain has beneficial effect on the upper airways and soothes it during irritation. Yarrow, Oman, St. John's, Licorice, Oregano and Thyme with flax soothe irritation and promote expectoration. Oregano, Plantain and Sweet Flag stimulate the immune system, Licorice, Chamomile, St. John's and Thyme act against bacteria and viruses. Chamomile along with licorice contribute to the antioxidant protection of tissues from the effects of oxygen radicals. 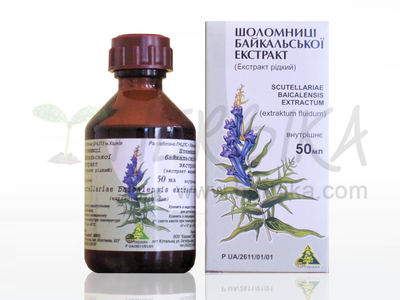 Ingredients: 1 tablet contains dry extracts of: Sweet flag (Acorus calamus) 75 mg, Oregano (Origanum vulgare L.) 70 mg, Licorice (Glycyrrhiza glabra) 30 mg, Thyme (Thymus serpyllum) 30 mg, Chamomile (Matricaria recutita) 27.5 mg, St. John's Wort (Hypericum perforatum) 25 mg, Elecampane (Inula helenium) 20 mg, Ribwort plantain (Plantago lanceolata) 20 mg, Yarrow (Achillea millefolium) 20 mg, Flax (Linum sativum) 5 mg. 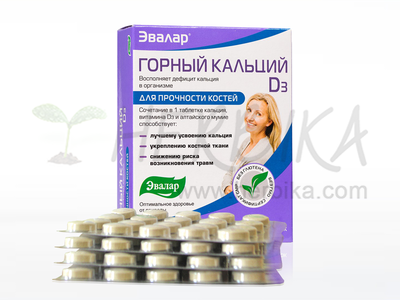 Recommended dosage: 1-2 tablets 2 times daily during meal. 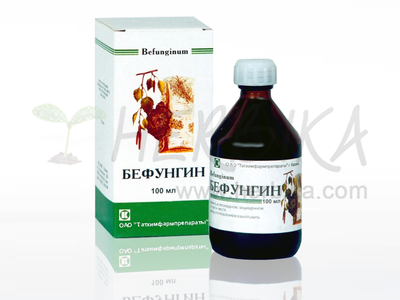 Recommended period of use is 10-20 days. 2. 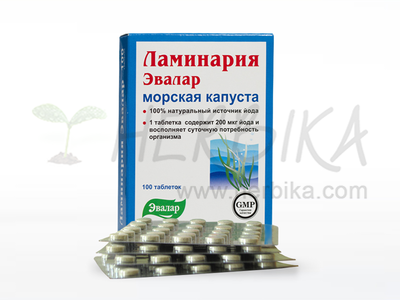 Laminaria japonica tablets 100tbl.